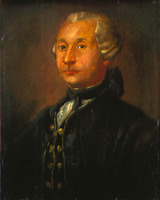 TACHÉ, Sir ÉTIENNE-PASCHAL, doctor, politician, and deputy adjutant-general of the militia; b. 5 Sept. 1795 at Saint-Thomas (Montmagny, Que. ), son of Charles Taché and Geneviève Michon; d. 30 July 1865 in the town of his birth. Étienne-Paschal was precocious. When the War of 1812 broke out he was still an adolescent but he abandoned his studies at the Séminaire de Québec and joined the 5th battalion of the incorporated militia as an ensign. He became a lieutenant in the Chasseurs Canadiens and took part in several engagements, including Plattsburgh and Châteauguay. 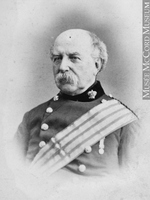 This military service marked the beginning of a career which had two distinct phases: from 1812 to 1841, Taché devoted himself particularly to medicine; and from 1841 to 1865, he was active in the political life of Canada. During the War of 1812, in his off-duty moments in military camp, Taché began the medical studies he continued after the war under Pierre Fabre*, dit Laterrière, a Quebec doctor. The practice of medicine, surgery, and obstetrics in Lower Canada was at that time regulated by the rigorous legislation of 1788. It was subject to control by the governor and was not too effective; complete training in a school of medicine became possible only in 1823 with the founding of the Montreal Medical Institution. Taché therefore went to Philadelphia to finish his studies. He then obtained his licence from the medical board of Lower Canada on 18 March 1819. He took up residence in his native parish, where the following year he married Sophie Baucher, dit Morency, of Beaumont; they were to have 15 children. 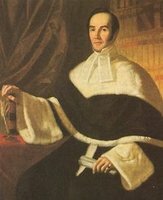 He practised medicine in Montmagny and the neighbouring parishes continuously for 22 years. In serving a vast terrtory on the south shore, he acquired the social prestige that had been passing from seigneurs to members of the professions since the introduction of the Canadian parliamentary system. He was by that very fact called upon to take an active part in the events of his day. 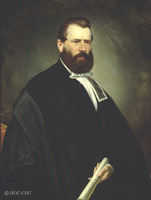 He was a member of the Quebec Medical Society when in 1831 it obtained the right to elect the members of the two boards of examiners of Quebec and Montreal; this event ended the English monopoly, through the Montreal Medical Institution, of admission to the practice of medicine in Lower Canada. Taché was a member of the Quebec board elected on 11 July 1831, which for the first time included a large majority of French Canadians. At the time of the rebellion, Taché was not able to remain aloof from the subversive movement that, in the Montmagny region, echoed the revolutionary struggles in the districts of Montreal and Quebec. 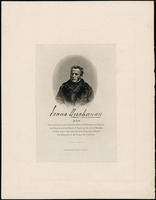 He became the heart of the nationalist movement in his region, and in 1836 attended the convention at Trois-Rivières where the Patriotes revealed their impatience; he organized a large meeting on 29 June 1837 at Montmagny, to which Louis-Joseph Papineau*, with Louis-Hippolyte La Fontaine, Jean-Joseph Girouard*, and Augustin-Norbert Morin, came “to fire the zeal of his supporters”; Taché gave asylum to the fugitive Morin when he was being pursued after attempting in vain to regroup Papineau’s revolutionary forces at Quebec against Elzéar Bédard*. 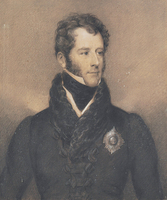 Informed of Taché’s activities, the English authorities were suspicious and in January 1839 issued a search warrant against him with orders for his arrest if the slightest piece of evidence could be found. Taché was absent when the search took place, and his house contained no firearms; this fruitless operation therefore did not lead to an arrest. Although he was not a supporter of armed rebellion, Taché did not reject such resistance as a “frightful catastrophe,” as some did, and the rebels were in his eyes only “a few hundred men . . . driven to despair by administrations which were stigmatized and condemned even by leading men in England.” Taché was therefore a Patriote, who at the time of the union became willing to compromise, as did Morin, La Fontaine, and George-Étienne Cartier*. He believed now in an alliance with the Upper Canadian Reformers and the possibility of deriving benefit from the union of the Canadas. With that end in view he entered public life. Taché officially began his active political career in the first elections held under the union. His candidacy seems to indicate a firm intention to make a career in parliament, since he then gave up the practice of medicine. On 8 April 1841 he was elected to the new Legislative Assembly as representative for the county of L’Islet, and his mandate was renewed in the autumn of 1844. 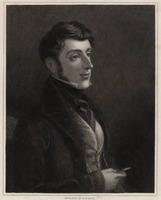 During these first years of parliamentary life (1841–46), Taché shared the policies and the principles of the Reformers: under Sydenham [Thomson*], he repudiated the political structure of union and denounced the despotism of the governor and the repeated intrigues of the Tories; under Sir Charles Bagot*, he supported La Fontaine who, when called to power with Robert Baldwin*, undertook to see that the grievances common to the two Canadas or peculiar to Canada East were redressed; under Sir Charles Theophilus Metcalfe*, he remained a firm supporter of responsible government when the new governor took upon himself the right to exercise the royal prerogative without consulting the accountable ministers and brought about the resignation of the La Fontaine–Baldwin ministry, a return to absolute government, and then the formation of a ministry that lacked the confidence of the French Canadian Reform majority. Taché’s acceptance of an appointment from a Tory ministry aroused further doubts as to his nationalism. But his gesture was only one of numerous compromises to which Reformers had agreed after 1840, conciliation having shown itself to be the only effective policy against the repressive régime of the union. 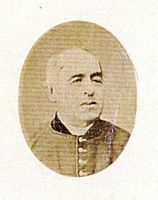 And on 11 March 1848, having retained the support of the Reform leaders, Taché was appointed a member of the Executive Council and commissioner of public works in the new La Fontaine–Baldwin ministry. On 23 May he was also made a legislative councillor. It was in the Executive Council that the second portion of his political life unfolded. Here he took part in the Reformers’ last battle for ministerial responsibility. Tradition even has it that it was he who killed William Mason, one of those who attacked La Fontaine’s house during the riot that followed the passage of the Rebellion Losses Bill. He had written his wife: “I have fortified and stocked La Fontaine’s house so as to sustain a siege; if the Tory loyalists present themselves, they will eat something indigestible,” but the inquiry that followed the incident did not succeed in proving his responsibility. 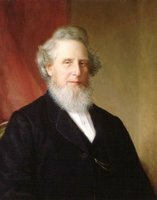 Following the agitation that consumed Tory hopes at the same time as the parliament buildings, to quote the colourful but accurate remark of Bartholomew Conrad Augustus Gugy*, an era of profound political, economic, and social change began. It was then that Taché became a figure in the forefront of history. Up to 1857, he participated in all governments; he held in succession the offices of commissioner of public works until 26 Nov. 1849, receiver general from 27 Nov. 1849 to 23 May 1856, speaker of the Legislative Council from 19 April 1856 to 25 Nov. 1857, and commissioner of crown lands from 16 June to 25 Nov. 1857, while also being leader of the Lower Canadian section from 27 Jan. 1855 to 24 Nov. 1857. 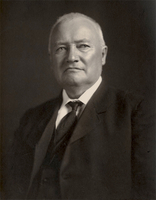 In association with La Fontaine, then with Morin, he led the struggle against the radical Rouge wing which, under Papineau’s flag, flaunted ultra-democratic principles, inclined towards annexation to the United States, and was destroying the Reform party from within. 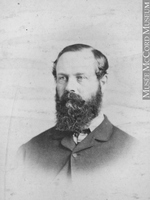 In 1854, a significant year in the history of Canadian political parties, he was one of the chief architects of the coalition between Allan Napier MacNab and Morin. The purpose of this coalition was to set up a viable government to counter the radicalism of George Brown* who had split the Upper Canadian Reformers and brought defeat to the supporters of Francis Hincks*. Taché wrote a long letter on this 1854 crisis to Jean-Charles Chapais*, and although it is already well known to historians it contains so detailed an analysis that it cannot be ignored here. In it Taché considers all the possible political alliances and measures their chances of success. The Tories, if called to office, would not know how to stay there, even allied to the Quebec Conservative Joseph-Édouard Cauchon*. As for the Reformers, they could seek allies, but Cauchon would cause more supporters to defect than he would bring in reinforcements; Louis-Victor Sicotte*, without Cauchon, would add too little to the strength of the Reformers, and Antoine-Aimé Dorion* was ideologically incompatible. For Taché only one alliance remained possible, that of the Reformers with the Conservatives. 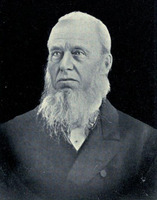 Consequently he supported the MacNab–Morin ministry, which was shaping a new political party: guidance of that party was shortly to be entrusted to him. 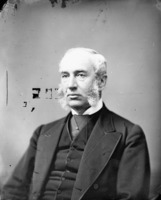 For health reasons Morin relinquished the direction of the Lower Canadian section of the cabinet during an adjournment of the 1854–55 session. Taché was called upon to replace him, and the new MacNab–Taché ministry was formed on 27 Jan. 1855. In the course of the two sessions during which it was in office, the most important measures adopted concerned the Lower Canadian municipal system (18 Vict., c.100), the militia (18 Vict., c.77), the schools of Upper Canada (18 Vict., c.131), the election of the Legislative Council (19–20 Vict., c.140), and the setting up of a Council of Public Instruction for Lower Canada (19 Vict., c.14). 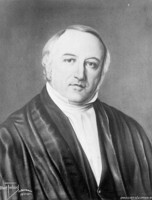 From a constitutional point of view, the double majority was a critical issue for the MacNab-Taché ministry. Deserted in the assembly by the Upper Canadian majority on a vote of non-confidence over the seat of the capital, MacNab declared his willingness to continue with the support of a majority of all the members. His colleagues, however, refused to continue to hold power without the support of a majority in each section of the country. Faced with constitutional deadlock, MacNab was obliged to resign in May 1856, and, already in bad health, he temporarily retired from politics. To reconstruct the ministry, the governor, Sir Edmund Walker Head, called on Taché. In doing so he followed the advice of all the ministers except MacNab, and made due allowance for seniority, a criterion of political advancement at that period. 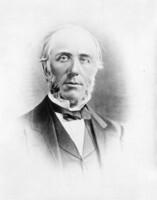 The new prime minister chose as his associate John Alexander Macdonald*, who had been aspiring for some time to the leadership of the Upper Canadian section, and who had had some part in MacNab’s fall. Then he formed a ministry whose members, for the first time since 1854, agreed to enter the government as a single and new party, and not as a coalition ministry. 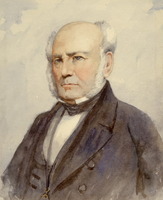 It was therefore this Taché–Macdonald ministry that sealed the alliance of the Conservatives and Reformers, and that was the first to have the advantage of governing as a unified party. But the double majority question was not settled; it was a sword of Damocles for the Taché–Macdonald government, as it was to be for all subsequent ministries up to confederation. The record of the 1857 session was nevertheless a positive one: the re-shaping of the common law of Lower Canada (20 Vict., c.43), the decentralization of the court system (20 Vict., c.44), and the aid granted to the Grand Trunk Railway (20 Vict., c.11). Although his government came out of the session stronger than it went in, Taché recommended dissolution of the houses to the governor, and took advantage of it to resign on 25 Nov. 1857. According to his personal correspondence, he had decided in the previous March to give up the government of the country and active politics. In reality his was no more than a semi-retirement, since he was a legislative councillor for life. But he was tired, and for three years he had been yearning for the rest and calm of private life, as is shown by these words to La Fontaine: “Public life, at the present time, whatever the position of the luckless mortal who is involved in it, is absolutely untenable. . . . my distaste is such that I pray God, with all the fervour I can muster, that we be defeated at the opening of the Houses.” Hence in June 1858 he refused the post of adjutant-general offered him by the governor. 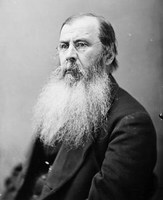 In 1860, however, he accepted the presidency of the Council of Public Instruction and the post of aide-de-camp to the Prince of Wales during his stay in Canada, two positions that left him free of ministerial responsibilities. But a group of political friends soon sought his assistance. In 1864 Canada was passing through another political crisis. The Liberal government of John Sandfield Macdonald* and Dorion, struggling with the same difficulties as the Conservative governments that had preceded it, was in constant danger of collapsing for want of a sufficient majority. Sandfield Macdonald then began negotiations with a view to a coalition. He sounded out Cartier, who declined, and then Taché, who refused in his turn, for he was not disposed to give up retirement to help his opponents. 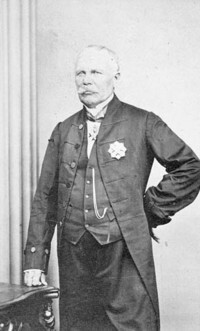 The prime minister therefore was forced to resign on 29 March 1864. 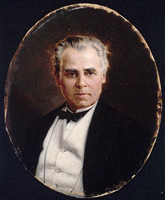 Governor Monck* called on Cartier, who declined in favour of Taché, asserting that Upper Canadians were not prejudiced against him. Consequently Taché was invited to form a ministry based on agreement between parties. 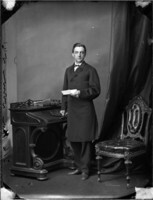 He was, in his own words, “thrown despite himself into a hornets’ nest,” having agreed “to lend a hand to friends” who were “very weak.” After having no success with the Upper Canadian Liberals, Taché formed, with John A. Macdonald, an entirely Conservative ministry, which adopted a fine ministerial programme but survived only one month: Alexander Tilloch Galt* suffered a vote of censure, and his fall brought down the government as well. The defeat of the third government in two years was an obvious proof that any homogeneous ministry was doomed to impotence in parliament. Once again, coalition proved essential. Sandfield Macdonald, Monck, and Taché had already thought so, and now John A. Macdonald, Cartier, Galt, and even the impetuous and fanatical George Brown admitted as much. It was the latter, indeed, who had been the most intractable; if he was now converted to the idea of a coalition, it was because the two conditions he laid down were realized. Taché, who was desired as prime minister, was the head of none of the three parties that eventually formed the coalition; he had remained outside the violent political struggles of recent years, and enjoyed the prestige of being a legislative councillor. Furthermore, all political parties except the Rouges of Lower Canada agreed to study the principle of a federal union of the British provinces. On 22 June 1864 Taché therefore formed the coalition ministry from which Canadian confederation would originate. Once he had thus given new life to the administration of the country, Taché considered himself less necessary to the coalition government. The future was to prove, however, that when the time came to find a successor, he was the prime minister of the hour. 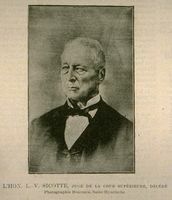 Indeed, the coalition managed to continue only under the direction of Narcisse-Fortunat Belleau*, whose leadership closely resembled that of Taché. 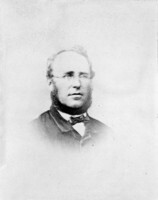 Taché remained in the ministry only because he felt he had a mission: aware on one hand of the insidious evil that confederation might involve, and on the other of the influence he had on his colleagues, he made it his duty to watch over the direction of the project, to protect the interests of Lower Canada. With a vanity that was justified by the pressures he had faced the previous March, he wrote: “I wish to take my share of responsibility in the proposal that we are considering for the union of the provinces. Is this plan possible without sacrificing Lower Canada? 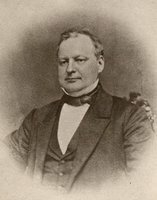 That is what we shall have to see; for me it is an important matter, and as I hold the key of the shop I can always close it if I perceive that no good can be achieved.” Thus Taché attributed to himself, almost exclusively, the fatherhood of confederation. 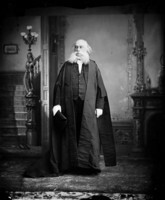 In his capacity as prime minister, he did indeed preside over the important Quebec conference in 1864; he then undertook to defend before the Legislative Council the 72 resolutions that would determine the primary and secondary lines to be followed by confederation, and Macdonald was to take a similar role in the assembly. But already during the session, on 16 Feb. 1865, Taché suffered a slight attack of paralysis which presaged his coming death. He died on 30 July, at the age of 69. 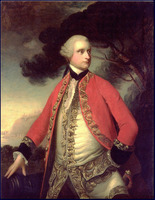 On 2 August, after a state funeral, he was buried at Montmagny. Taché’s premature death explains why too often his name is not linked with Canadian confederation, and he is thus denied the honour in favour of those who shared in all stages of the project and who witnessed its full realization. However, we unhesitatingly assert that Monck’s description of Brown, as “the man whose conduct in 1864 had rendered the project of union feasible,” applies equally to Taché (although Taché worked less obtrusively). A fair evaluation of Taché’s whole career requires the setting aside of usual standards of assessment and a realization that the strength that makes compromise possible may be as great as the strength behind creativity or resistance. 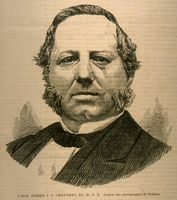 Taché was a conciliator, known as “a moderate and safe man.” A part of all political events during the union, from the first elections of 1841 to the adoption of the Quebec resolutions in June 1865, he deserves to be styled a great statesman, the more so because he did not let himself be submerged by politics. 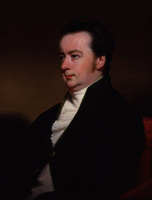 Perhaps he was first drawn to politics by inclination, but, as his private correspondence attests, it was through a sense of patriotic duty that he continued and consented to return to political life. ANQ-Q, AP-G-134; AP-G-242. BUM, Coll. Baby. PAC, MG 24, B1, B14, B40, B125, C19, C24, D16, E1. P. [-J.] 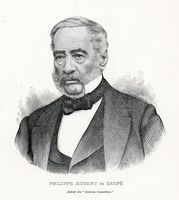 Aubert de Gaspé, Mémoires (Ottawa, 1866). Can., prov. du, Débats parlementaires sur la Confédération; Statuts, 1854–55, c.77, c.100, c.131; 1856, c.14, c.140; 1857, c.11, c.44; Assemblée législative, Journaux, 1841–65. JIP, juillet–août 1856. L’Aurore des Canadas, 1841–46. L’Avenir, 1847–57. Le Canadien, 1841–49. Le Courrier du Canada, 1862–65. Le Journal de Québec, 1842–65. La Minerve, 1841–65. Le Pays, 1852–65. G. Turcotte, Cons. législatif de Québec. Bernard, Les Rouges. J.-C. Bonenfant, La naissance de la Confédération (Montréal, 1969). 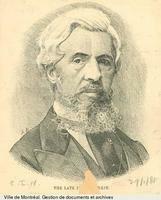 Éveline Bossé, Joseph-Charles Taché (1820–1894), un représentant de l’élite canadienne-française (Québec, 1971). Careless, Brown; Union of the Canadas. Chapais, Hist. du Canada, VII, 79, 285–771. Cornell, Alignment of political groups. 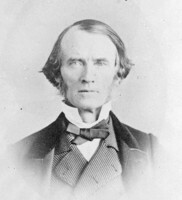 Creighton, Macdonald, young politician; Road to confederation. L.-O. David, L’Union des deux Canadas, 1841–1867 (Montréal, 1898). 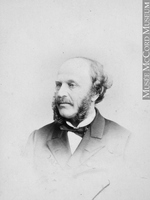 Andrée Désilets, Hector-Louis Langevin, un père de la Confédération canadienne (1826–1906) (Québec, 1969). Alfred Duclos de Celles, Cartier et son temps (Montréal, 1913). Gérard Filteau, Histoire des Patriotes (3v., Montréal, 1938–39). Antoine Gérin-Lajoie, Dix ans au Canada de 1840 à 1850: histoire de l’établissement du gouvernement responsable (Québec, 1888). M. O. Hammond, Confederation and its leaders (Toronto, 1917). Monet, Last cannon shot. 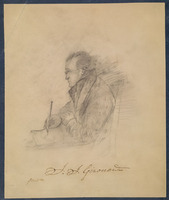 Joseph Pope, Memoirs of the Right Honourable John Alexander Macdonald, G.C.B., first prime minister of the dominion of Canada (2v., Ottawa, ), I. P.-G. Roy, A travers les “Anciens Canadiens” de Philippe Aubert de Gaspé (Montréal, 1943), 266ff. ; La famille Taché (Lévis, Qué., 1904). Robert Rumilly, Papineau (Montréal, ). L.-P. Turcotte, Canada sous l’Union. L.-P. Audet, “La surintendance de l’ éducation et la loi scolaire de 1841,” Cahiers des Dix, 25 (1960); 147–69. Sylvio Leblond, “La médecine dans la province de Québec avant 1847,” Cahiers des Dix, 35 (1970), 69–95. Antoine Roy, “Les Patriotes de la région de Québec pendant la rébellion de 1837–1838,” Cahiers des Dix, 24 (1959), 253. Andrée Désilets, “TACHÉ, Sir ÉTIENNE-PASCHAL,” in Dictionary of Canadian Biography, vol. 9, University of Toronto/Université Laval, 2003–, accessed April 22, 2019, http://www.biographi.ca/en/bio/tache_etienne_paschal_9E.html.